People who have spherical-shaped eyes enjoy undisruptive vision. This is because the shape allows light to properly focus on the retina. This ensures that the vision is sharp, clear, and not blurry. You’d think that many people have spherical-shaped eyes but this isn’t always the case. Many people have at least one eye that’s not perfectly round. This is the case when the cornea shape is abnormal. As a result, there is an input of light into the retina from multiple sources causing the vision to be blurry. This can occur in people who are suffering from farsightedness, shortsightedness. This is why people with astigmatism have blurry vision. If you are farsighted or shortsighted, you can easily find a solution with contact lenses. However, astigmatism is much more complicated. If your vision is not as sharp as you want, then it may be that you are suffering from this condition. And it doesn’t matter whether you’re whether you are wearing contact lenses or not. A contact lens like the Air Optix Aqua for Astigmatism can give you comfort, clear vision, and breathability. Air Optix for Astigmatism was developed by Alcon to help solve the problem of astigmatism. It can provide up to 5x more oxygen to your eyes than other soft contact lenses. For our eyes to maintain proper function and health, they need to breathe. This means there should be enough supply of oxygen to the cornea. This comes from the air instead of the blood passing through our vessel. When you get enough oxygen to the cornea, you are helping your eye breathe better. This is how you maintain proper functioning of the eye while keeping it healthy. This is why it is important that you wear contact lenses that supply oxygen to the cornea at a high percentage. The unique technology on the Air Optix for Astigmatism Lenses can create a deposit-resistant surface. This protects the eyes from eye diseases that comes because of wearing contact lenses. Air Optix for Astigmatism also has highly breathable silicone hydrogel. This water-loving, plastic material, is rigid when dried but pliable and soft when wet. This material is responsible for correcting astigmatism whether it’s lenticular, cornea or both. The Air Optix for Astigmatism comes with 6 lenses per box. It features better oxygen transmission than other contact lenses designed for astigmatism. They are a good monthly disposable option. You can wear them for 7 days continuously without removal. If you have tried spherical lenses and don’t get unsatisfactory results, try the Air Optix for Astigmatism. Each of the lenses in the package features a permanent plasma technology. This produces a time-based fluid to keep the lenses lubricated and comfortable on the eyes. They also come with TriComfort technology which ensures stability throughout the period you wear them. 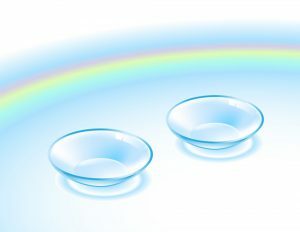 These soft disposable contact lenses contain 67% lotrafilcon B and 33% of water. This further stabilizes the comfort provided by the contact lenses and help you enjoy it for much longer. When it comes to better oxygen transmission, these lenses are the leading toric lenses. This is, thanks to the hydrogel material used in making the lenses. They undergo different tests that prove they provide more oxygen to the eye than comparable brands. In fact, they help your eyes become healthier while maintaining their remarkable white color. An important factor for people suffering from astigmatism is continuous wetness of the eye surface. Fortunately, these contact lenses provide this and more. With the unique permanent plasma technology, they stabilize in your eyes within a few seconds of insertion. That is why most users recommend them for other patients looking for a reliable monthly replacement lens. When we write reviews on any product, we often scour the internet for the best prices. While researching the pricing for this contact lenses, we discovered that virtually all distributors of these lenses have different price points. The price range is $59.00 up to $70.00 and all of them carry this same lens. While this is good for comparison, it can be bad if you don’t have much time to spend on research. For this reason, we decided to look at where you can get the lowest price. At the time of this writing, we found that the lowest price is available on Coastal.com. You can get it for only $59.00 which is $5-$10 difference from other brands. And the best part is that you can get free shipping on all your orders if you purchase $99+ worth of contact lenses. With astigmatism, it is common to experience discomfort when you have your contact lens on. This is why toric contact lenses are released into the market. They not only help you get a clear vision but to dissolve the all discomfort from wearing contact lenses. Some people believed that you can get the best brand and design for your specific need by trial an error. If you have the time and resources to spend, fine. But if you are just buying for the first time and you want the best deal, it can be a warped strategy. This is why we decide to analyze all the reviews on these lenses to see if they are any good. We do this to help our readers get better vision and comfort even if this is their first time. Majority of wearers of the Air Optix for Astigmatism have a high regard for the lenses. This is because it doesn’t make them feel discomfort while going about their day-to-day activities. If you are looking for high oxygen permeability rated lenses, then these are some of the best you can try. They give clarity of vision and superior comfort. They are made for astigmatic patients, especially those who experience discomfort with other lenses. Patients who are suffering from lower lid irritation are able to stop the irritation and eye upset with the Air Optix for Astigmatism. In the following sections, we answer all questions on the quality of vision, best uses, comfort, and fit. We also look at the potential drawbacks you might face and how to combat them. What Are the Best Uses of these Lenses? As you can see from the name, these contact lenses are primarily designed for people with astigmatism. People differ in their facial structure and needs. But you can still discern what you’re likely to undergo from other peoples experience. Most people agree that these contact lenses live up to the name of the brand. This is as a result of reducing the irritation to the eye when they are inserted. Some users also stated their preference for the Air Optix for Astigmatism. The main reason being their suitability for work and play. This means you can wear them in harsh conditions or weather and still have them perform well. This goes a long way in negating the need for eyeglasses. They come with a TriComfort Technology that transfers oxygen to the eye consistently. This ensures you undergo less discomfort or blurred vision from astigmatism. Also, many have found these lenses to be unique in terms of the comforting the cornea and eye surface. 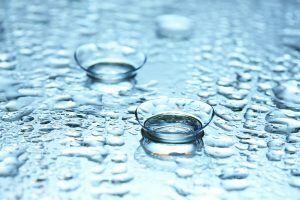 Are the Air Optix for Astigmatism Contact Lenses Suitable for Sensitive Eyes? If your eyes are sensitive, you need contact lenses that are comfortable and doesn’t bother you while you are wearing them – which is always the case with patients suffering from astigmatism. 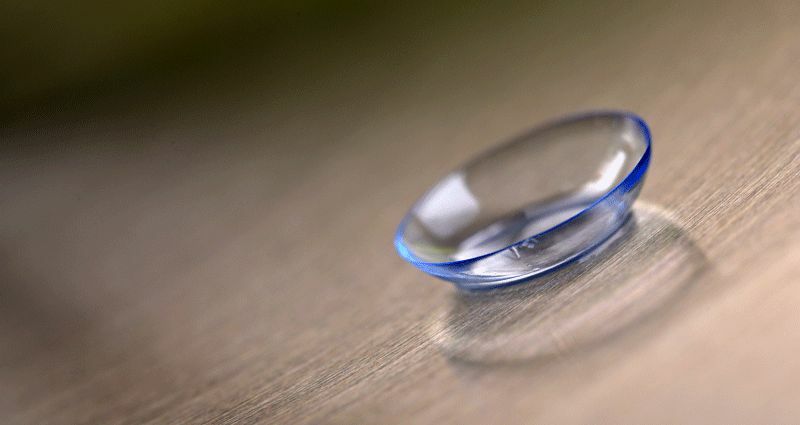 Fortunately, these contact lenses are stable – they don’t move too much to disrupt comfort of the cornea – so they are suitable for sensitive eyes. Some customers who are suffering from dry eyes and couldn’t keep their contact lenses for more than a few hours at a go confirmed that the Air Optix for Astigmatism helped them increase the number of hours they can wear their contact lenses. And since they are stable and consistent, the resulting comfort is longer than what they have experienced in the past. People also love that they are not only comfortable but also last long once they maintain the recommended usage period. You don’t have to settle for dryness when you have astigmatism, discomfort, and blurred vision. The Air Optix for Astigmatism is designed with two unique technologies to give you clear vision and consistent comfort without the compromise that accompanies astigmatism. They don’t dry out the eyes even when you wear them throughout the day. So if you have tried other brands that don’t fit your eyes and you don’t want to go back to glasses, then this may be what you are looking for. With the stable vision that the Air Optix for Astigmatism contact lenses give you, you won’t have to put up with blurred vision or eyeglasses that bring discomfort. What are the potential drawbacks of the Air Optix for Astigmatism? The greatest issue for the Air Optix for Astigmatism is that they may not maintain comfort for a long time. There are some reports from users that the Air Optix for Astigmatism contact lenses become uncomfortable after only about 5 hours of wear. 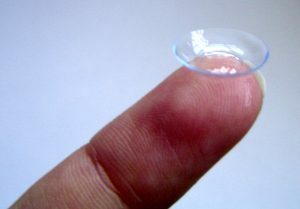 Giving that they are monthly disposable contact lenses, they should at least last for a few more hours. While this may be the case, it may also have been a personal issue such as the brand not being a good fit. The takeaway from this is that you should try as much as possible to understand the different sizes available, the fit and that it is going to work for you based on your prescription. The Air Optix for Astigmatism contact lenses has a unique permanent plasma technology which allows for a continuous and smooth surface as well as a unique precision balance 8|4 lens design that allows for outstanding stability and fitness. The lens design features stabilizing points at 8 and 4 o’clock, which creates minimum interaction with the lower lid, ensuring additional comfort for your lens. The lens also has higher oxygen transmission at 6 o’clock for fit performance and consistent rotation. Unlike other contact lenses, the Air Optix for Astigmatism is able to provide immediate stabilization in as little as 30 seconds after it’s inserted. The leading low Dk/t traditional hydrogel toric lenses are seen as the best when it comes to oxygen transmission to the eyes. However, the Air Optix for Astigmatism has been tested to transmit up to 5x more oxygen to the eyes resulting in better healthy-looking, white eyes. As a result of offering the highest oxygen transmission of any available soft toric lens, they can provide you stable comfort as well as natural, healthy-looking eyes whether you are wearing them every or not. If you are looking for a crisp and consistently clear vision to satisfy your unmet vision and your comfort need as an astigmatic patient, then you should try the Air Optix for Astigmatism contact lenses.